Beings of light/star family project their energy across dimensions in very specific shapes, forms, and colors. Bright blue light beams showed up in a series of photos while I was attuning to feline beings from Sirius, and their presence felt protective, like swords of light ‘clearing energies’. 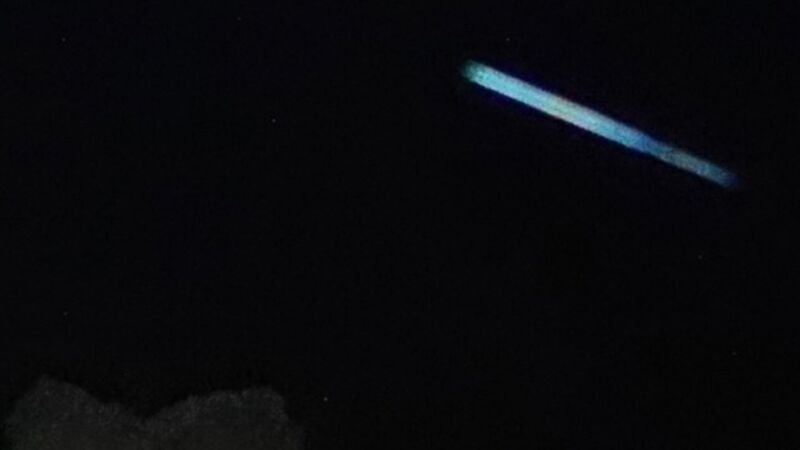 This coincided with the appearance of a small Cube of Light that was slowly rotating in one spot directly overhead and changing colour as it rotated (which also showed up in a series of photos). I was at that time receiving a beautiful transmission of ‘higher light encodings’ at a vibrational level that was imparting a lift in overall vibration of my energy field (subtle bodies, through to physical cells), and Sirian feline beings were closely guarding the space around this Cube during the transmission.